Nelson Rolihlahla Mandela (; 18 July 1918 – 5 December 2013) was a South African anti-apartheid revolutionary, politician, and philanthropist, who served as President of South Africa from 1994 to 1999. He was the country's first black head of state and the first elected in a fully representative democratic election. His government focused on dismantling the legacy of apartheid by tackling institutionalised racism and fostering racial reconciliation. Ideologically an African nationalist and socialist, he served as President of the African National Congress (ANC) party from 1991 to 1997. Nelson Mandela's father, Gadla Henry Mphakanyiswa, was a local chief and councillor to the monarch; he was appointed to the position in 1915, after his predecessor was accused of corruption by a governing white magistrate. In 1926, Gadla was also sacked for corruption, but Nelson was told that his father had lost his job for standing up to the magistrate's unreasonable demands. A devotee of the god Qamata, Gadla was a polygamist with four wives, four sons and nine daughters, who lived in different villages. Nelson's mother was Gadla's third wife, Nosekeni Fanny, daughter of Nkedama of the Right Hand House and a member of the amaMpemvu clan of the Xhosa. After taking part in the unsuccessful protest to prevent the forced relocation of all black people from the Sophiatown suburb of Johannesburg in February 1955, Mandela concluded that violent action would prove necessary to end apartheid and white minority rule. On his advice, Sisulu requested weaponry from the People's Republic of China, which was denied. Although the Chinese government supported the anti-apartheid struggle, they believed the movement insufficiently prepared for guerilla warfare. With the involvement of the South African Indian Congress, the Coloured People's Congress, the South African Congress of Trade Unions and the Congress of Democrats, the ANC planned a Congress of the People, calling on all South Africans to send in proposals for a post-apartheid era. Based on the responses, a Freedom Charter was drafted by Rusty Bernstein, calling for the creation of a democratic, non-racialist state with the nationalisation of major industry. The charter was adopted at a June 1955 conference in Kliptown; 3,000 delegates attended the event, which was forcibly closed down by police. The tenets of the Freedom Charter remained important for Mandela, and in 1956 he described it as "an inspiration to the people of South Africa". In December 1956, Mandela was arrested alongside most of the ANC national executive, and accused of "high treason" against the state. Held in Johannesburg Prison amid mass protests, they underwent a preparatory examination before being granted bail. The defence's refutation began in January 1957, overseen by defence lawyer Vernon Berrangé, and continued and continued until the case was adjourned in September. In January 1958, Oswald Pirow was appointed to prosecute the case, and in February the judge ruled that there was "sufficient reason" for the defendants to go on trial in the Transvaal Supreme Court. The formal Treason Trial began in Pretoria in August 1958, with the defendants successfully applying to have the three judges—all linked to the governing National Party—replaced. In August, one charge was dropped, and in October the prosecution withdrew its indictment, submitting a reformulated version in November which argued that the ANC leadership committed high treason by advocating violent revolution, a charge the defendants denied. Inspired by the actions of Fidel Castro's 26th of July Movement in the Cuban Revolution, in 1961 Mandela, Sisulu, and Slovo co-founded Umkhonto we Sizwe ("Spear of the Nation", abbreviated MK). Becoming chairman of the militant group, Mandela gained ideas from literature on guerilla warfare by Marxist militants Mao and Che Guevara as well as from the military theorist Carl von Clausewitz. Although initially declared officially separate from the ANC so as not to taint the latter's reputation, MK was later widely recognised as the party's armed wing. Most early MK members were white communists who were able to conceal Mandela in their homes; after hiding in communist Wolfie Kodesh's flat in Berea, Mandela moved to the communist-owned Liliesleaf Farm in Rivonia, there joined by Raymond Mhlaba, Slovo, and Bernstein, who put together the MK constitution. Although in later life Mandela denied, for political reasons, ever being a member of the Communist Party, historical research published in 2011 strongly suggested that he had joined in the late 1950s or early 1960s. This was confirmed by both the SACP and the ANC after Mandela's death. According to the SACP, he was not only a member of the party, but also served on its Central Committee. The ANC decided to send Mandela as a delegate to the February 1962 meeting of the Pan-African Freedom Movement for East, Central and Southern Africa (PAFMECSA) in Addis Ababa, Ethiopia. Leaving South Africa in secret via Bechuanaland, on his way Mandela visited Tanganyika and met with its president, Julius Nyerere. Arriving in Ethiopia, Mandela met with Emperor Haile Selassie I, and gave his speech after Selassie's at the conference. After the symposium, he travelled to Cairo, Egypt, admiring the political reforms of President Gamal Abdel Nasser, and then went to Tunis, Tunisia, where President Habib Bourguiba gave him £5,000 for weaponry. He proceeded to Morocco, Mali, Guinea, Sierra Leone, Liberia, and Senegal, receiving funds from Liberian President William Tubman and Guinean President Ahmed Sékou Touré. Leaving Africa for London, England, he met anti-apartheid activists, reporters, and prominent politicians. Returning to Ethiopia, he began a six-month course in guerrilla warfare, but completed only two months before being recalled to South Africa by the ANC's leadership. On 5 August 1962, police captured Mandela along with fellow activist Cecil Williams near Howick. Many MK members suspected that the authorities had been tipped off with regard to Mandela's whereabouts, although Mandela himself gave these ideas little credence. In later years, a former American diplomat revealed that the Central Intelligence Agency, who feared Mandela's associations with communists, had informed the South African police of his location. 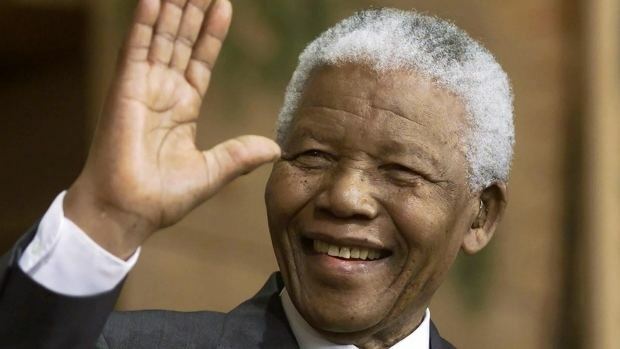 Jailed in Johannesburg's Marshall Square prison, Mandela was charged with inciting workers' strikes and leaving the country without permission. Representing himself with Slovo as legal advisor, Mandela intended to use the trial to showcase "the ANC's moral opposition to racism" while supporters demonstrated outside the court. Moved to Pretoria, where Winnie could visit him, he began correspondence studies for a Bachelor of Laws (LLB) degree from the University of London. His hearing began in October, but he disrupted proceedings by wearing a traditional kaross, refusing to call any witnesses, and turning his plea of mitigation into a political speech. Found guilty, he was sentenced to five years' imprisonment; as he left the courtroom, supporters sang "Nkosi Sikelel iAfrika". In July 1963, police raided Liliesleaf Farm, arresting those they found there and uncovering paperwork documenting MK's activities, some of which mentioned Mandela. The Rivonia Trial began at Pretoria Supreme Court in October, with Mandela and his comrades charged with four counts of sabotage and conspiracy to violently overthrow the government; their chief prosecutor was Percy Yutar. Judge Quartus de Wet soon threw out the prosecution's case for insufficient evidence, but Yutar reformulated the charges, presenting his new case from December 1963 until February 1964, calling 173 witnesses and bringing thousands of documents and photographs to the trial. The political prisoners took part in work and hunger strikes—the latter considered largely ineffective by Mandela—to improve prison conditions, viewing this as a microcosm of the anti-apartheid struggle. ANC prisoners elected him to their four-man "High Organ" along with Sisulu, Govan Mbeki, and Raymond Mhlaba, and he involved himself in a group representing all political prisoners on the island, Ulundi, through which he forged links with PAC and Yu Chi Chan Club members. Initiating the "University of Robben Island", whereby prisoners lectured on their own areas of expertise, he debated socio-political topics with his comrades. In 1985, Mandela underwent surgery on an enlarged prostate gland, before being given new solitary quarters on the ground floor. He was met by "seven eminent persons", an international delegation sent to negotiate a settlement, but Botha's government refused to co-operate, calling a state of emergency in June and initiating a police crackdown on unrest. The anti-apartheid resistance fought back, with the ANC committing 231 attacks in 1986 and 235 in 1987. The violence escalated as the government used the army and police to combat the resistance, and provided covert support for vigilante groups and the Zulu nationalist movement Inkatha, which was involved in an increasingly violent struggle with the ANC. Mandela requested talks with Botha but was denied, instead secretly meeting with Minister of Justice Kobie Coetsee in 1987, and having a further 11 meetings over the next three years. Coetsee organised negotiations between Mandela and a team of four government figures starting in May 1988; the team agreed to the release of political prisoners and the legalisation of the ANC on the condition that they permanently renounce violence, break links with the Communist Party, and not insist on majority rule. Mandela rejected these conditions, insisting that the ANC would only end its armed activities when the government renounced violence. Recovering from tuberculosis exacerbated by the dank conditions in his cell, in December 1988 Mandela was moved to Victor Verster Prison near Paarl. He was housed in the relative comfort of a warder's house with a personal cook, and used the time to complete his LLB degree. While there, he was permitted many visitors and organised secret communications with exiled ANC leader Oliver Tambo. Leaving Victor Verster Prison on 11 February, Mandela held Winnie's hand in front of amassed crowds and the press; the event was broadcast live across the world. Driven to Cape Town's City Hall through crowds, he gave a speech declaring his commitment to peace and reconciliation with the white minority, but made it clear that the ANC's armed struggle was not over, and would continue as "a purely defensive action against the violence of apartheid". He expressed hope that the government would agree to negotiations, so that "there may no longer be the need for the armed struggle", and insisted that his main focus was to bring peace to the black majority and give them the right to vote in national and local elections. Staying at the home of Desmond Tutu, in the following days Mandela met with friends, activists, and press, giving a speech to an estimated 100,000 people at Johannesburg's Soccer City. The Convention for a Democratic South Africa (CODESA) began in December 1991 at the Johannesburg World Trade Center, attended by 228 delegates from 19 political parties. Although Cyril Ramaphosa led the ANC's delegation, Mandela remained a key figure, and after de Klerk used the closing speech to condemn the ANC's violence, he took to the stage to denounce de Klerk as the "head of an illegitimate, discredited minority regime". Dominated by the National Party and ANC, little negotiation was achieved. CODESA 2 was held in May 1992, at which de Klerk insisted that post-apartheid South Africa must use a federal system with a rotating presidency to ensure the protection of ethnic minorities; Mandela opposed this, demanding a unitary system governed by majority rule. Following the Boipatong massacre of ANC activists by government-aided Inkatha militants, Mandela called off the negotiations, before attending a meeting of the Organisation of African Unity in Senegal, at which he called for a special session of the UN Security Council and proposed that a UN peacekeeping force be stationed in South Africa to prevent "state terrorism". Calling for domestic mass action, in August the ANC organised the largest-ever strike in South African history, and supporters marched on Pretoria. Aged 76, he faced various ailments, and although exhibiting continued energy, he felt isolated and lonely. He often entertained celebrities, such as Michael Jackson, Whoopi Goldberg, and the Spice Girls, and befriended ultra-rich businessmen, like Harry Oppenheimer of Anglo-American as well as Queen Elizabeth II on her March 1995 state visit to South Africa, resulting in strong criticism from ANC anti-capitalists. Despite his opulent surroundings, Mandela lived simply, donating a third of his R 552,000 annual income to the Nelson Mandela Children's Fund, which he had founded in 1995. Although dismantling press censorship, speaking out in favour of freedom of the press, and befriending many journalists, Mandela was critical of much of the country's media, noting that it was overwhelmingly owned and run by middle-class whites and believing that it focused too heavily on scaremongering about crime. Mandela's relationship with Machel had intensified; in February 1998, he publicly stated that he was "in love with a remarkable lady", and under pressure from his friend Desmond Tutu, who urged him to set an example for young people, he organised a wedding for his 80th birthday, in July that year. The following day, he held a grand party with many foreign dignitaries. 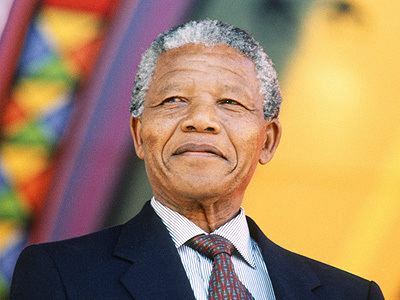 Although the 1996 constitution allowed the president to serve two consecutive five-year terms, Mandela had never planned to stand for a second term in office. He gave his farewell speech to Parliament on 29 March 1999 when it adjourned prior to the 1999 general elections, after which he retired. Although opinion polls in South Africa showed wavering support for both the ANC and the government, Mandela himself remained highly popular, with 80% of South Africans polled in 1999 expressing satisfaction with his performance as president. After suffering from a prolonged respiratory infection, Mandela died on 5 December 2013 at the age of 95, at around 20:50 local time (UTC+2) at his home in Houghton, surrounded by his family. Zuma publicly announced his death on television, proclaiming ten days of national mourning, a memorial service held at Johannesburg's FNB Stadium on 10 December 2013, and 8 December as a national day of prayer and reflection. Mandela's body lay in state from 11 to 13 December at the Union Buildings in Pretoria and a state funeral was held on 15 December in Qunu. Approximately 90 representatives of foreign states travelled to South Africa to attend memorial events. The media was awash with tributes and reminiscences, while images of and tributes to Mandela proliferated across social media. His $4.1 million estate was left to his widow, other family members, staff, and educational institutions. The historian Sabelo J. Ndlovu-Gatsheni described Mandela as a "liberal African nationalist–decolonial humanist", while political analyst Raymond Suttner cautioned against labelling Mandela a liberal and stated that Mandela displayed a "hybrid socio-political make-up". Mandela took political ideas from other thinkers—among them Indian independence leaders like Gandhi and Nehru, African-American civil rights activists, and African nationalists like Nkrumah—and applied them to the South African situation. At the same time he rejected other aspects of their thought, such as the anti-white sentiment of many African nationalists. In doing so he synthesized both counter-cultural and hegemonic views, for instance by drawing upon ideas from the then-dominant Afrikaner nationalism in promoting his anti-apartheid vision. Mandela advocated the ultimate establishment of a classless society, with Sampson describing him as being "openly opposed to capitalism, private land-ownership and the power of big money". Mandela was influenced by Marxism, and during the revolution he advocated scientific socialism. He denied being a communist at the Treason Trial, and maintained this stance both when later talking to journalists, and in his autobiography. According to the sociologist Craig Soudien, "sympathetic as Mandela was to socialism, a communist he was not." Conversely, the biographer David Jones Smith stated that Mandela "embraced communism and communists" in the late 1950s and early 1960s, while the historian Stephen Ellis commented that Mandela had assimilated much of the Marxist-Leninist ideology by 1960. Ellis also found evidence that Mandela had been an active member of the South African Communist Party during the late 1950s and early 1960s, something that was confirmed after his death by both the ANC and the SACP, the latter of which claimed that he was not only a member of the party, but also served on its Central Committee. His membership had been hidden by the ANC, aware that knowledge of Mandela's former SACP involvement might have been detrimental to his attempts to attract support from Western countries. Mandela's view of these Western governments differed from those of Marxist-Leninists, for he did not believe that they were anti-democratic or reactionary and remained committed to democratic systems of governance. 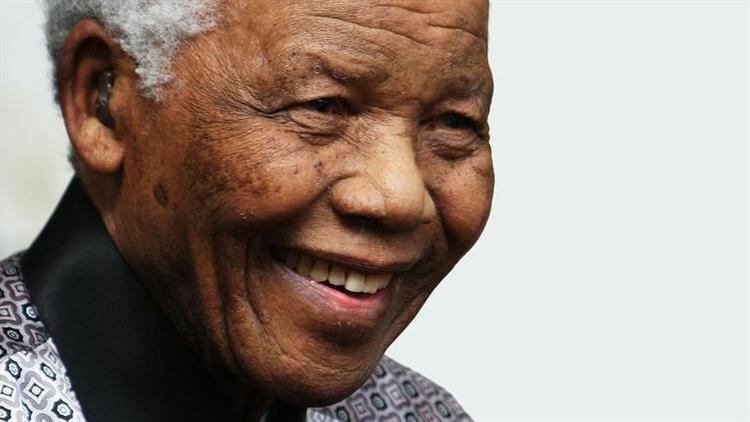 Mandela was widely considered a charismatic leader, described by biographer Mary Benson as "a born mass leader who could not help magnetizing people". He was highly image conscious and throughout his life always sought out fine quality clothes, with many commentators believing that he carried himself in a regal manner. His aristocratic heritage was repeatedly emphasised by supporters, thus contributing to his "charismatic power". While living in Johannesburg in the 1950s, he cultivated the image of the "African gentleman", having "the pressed clothes, correct manners, and modulated public speech" associated with such a position. In doing so, Lodge argued that Mandela became "one of the first media politicians [...] embodying a glamour and a style that projected visually a brave new African world of modernity and freedom". 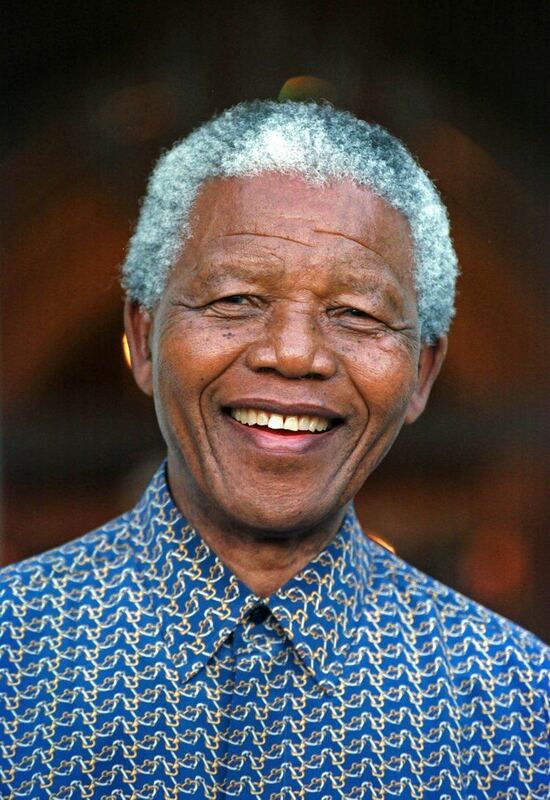 Mandela was known to change his clothes several times a day and after assuming the presidency he became so associated with highly coloured Batik shirts that they came to be known as "Madiba shirts". For Betty Glad and Robert Blanton, Mandela was an "exceptionally intelligent, shrewd, and loyal leader". His official biographer, Anthony Sampson, commented that he was a "master of imagery and performance", excelling at presenting himself well in press photographs and producing sound bites. His public speeches were presented in a formal, stiff manner, and often consisted of clichéd set phrases. He typically spoke slowly, and carefully chose his words. Although he was not considered a great orator, his speeches conveyed "his personal commitment, charm and humour". Mandela was very self-conscious about being a man and regularly made references to manhood. He was heterosexual, and biographer Fatima Meer said that he was "easily tempted" by women. Another biographer, Martin Meredith, characterised him as being "by nature a romantic", highlighting that he had relationships with various women. Mandela was married three times, fathered six children, and had seventeen grandchildren and at least seventeen great-grandchildren. He could be stern and demanding of his children, although he was more affectionate with his grandchildren. His first marriage was to Evelyn Ntoko Mase in October 1944; they divorced after 13 years in 1957 under the multiple strains of his adultery and constant absences, devotion to revolutionary agitation, and the fact that she was a Jehovah's Witness, a religion requiring political neutrality. Mandela's second wife was the social worker Winnie Madikizela-Mandela, although they divorced in 1995. Mandela married his third wife, Graça Machel, on his 80th birthday in 1998. In 2004, Johannesburg granted Mandela the Freedom of the City, and in 2008 a Mandela statue was unveiled at the spot where Mandela was released from prison. On the Day of Reconciliation 2013, a bronze statue of Mandela was unveiled at Pretoria's Union Buildings. In November 2009, the United Nations General Assembly proclaimed Mandela's birthday, 18 July, as "Mandela Day", marking his contribution to the anti-apartheid struggle. It called on individuals to donate 67 minutes to doing something for others, commemorating the 67 years that Mandela had been a part of the movement. Since the late 1980s, Mandela's image began to appear on a proliferation of items, among them "photographs, paintings, drawings, statues, public murals, buttons, t-shirts, refrigerator magnets, and more", items that have been characterised as "Mandela kitsch". In the 1980s he was the subject of several songs, such as The Special AKA's "Free Nelson Mandela" and Hugh Masekela's "Bring Him Back Home (Nelson Mandela)", which helped to bring awareness of his imprisonment to an international audience. Following his death, there appeared many internet memes featuring images of Mandela with his inspirational quotes superimposed onto them. Mandela has also been depicted in films on multiple occasions. 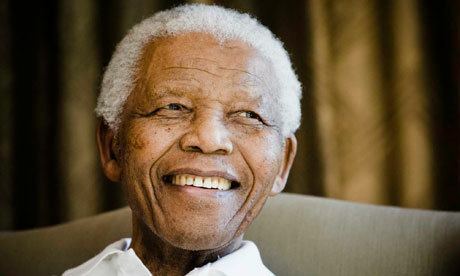 Some of these, such as the 2013 feature film Mandela: Long Walk to Freedom and the 1996 documentary Mandela, have focused on covering his long life, whereas others, such as the 2009 feature film Invictus and the 2010 documentary The 16th Man, have focused on specific events in his life. 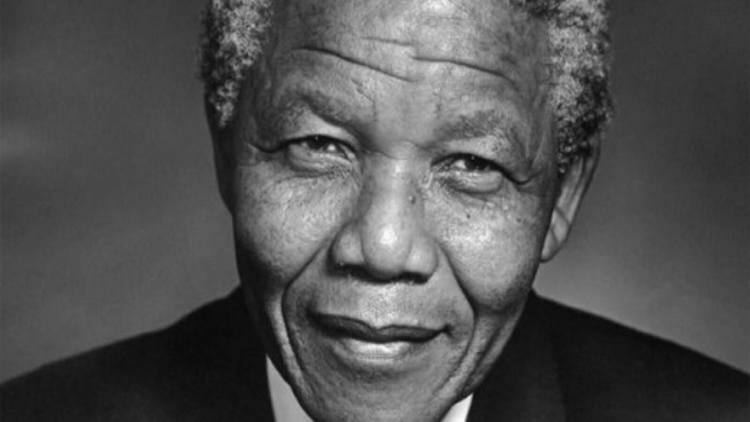 It has been argued that in Invictus and other films, "the American film industry" has played a significant part in "the crafting of Mandela's global image".